We’re headed into the time of year where many people struggle with getting sick. If you work in an office, you’re trying to avoid those who come into the office to spread the germs. Kids in day care, preschool, or grade school seem to pick up germs from their friends. How do you fight the germs and stay healthy? 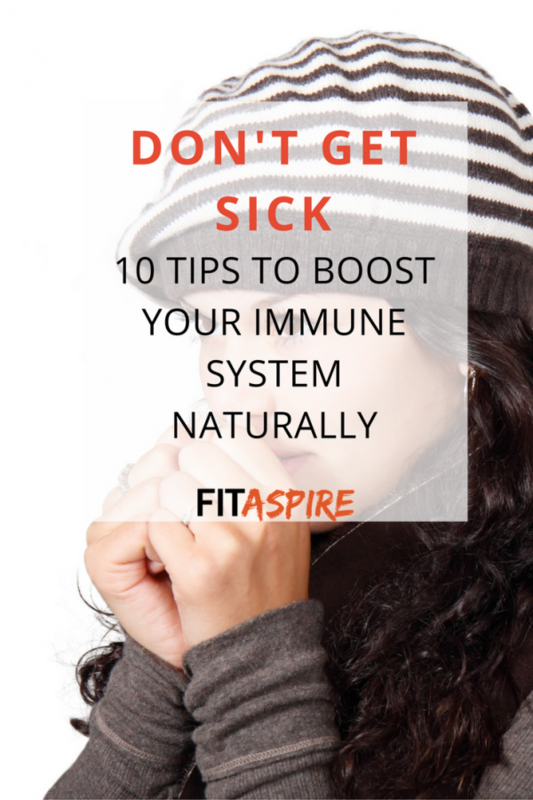 While I don’t think we can ever completely prevent getting sick, there are a number of things you can do to support your immune system & significantly reduce your chances of getting sick. In today’s post, let’s look at 10 things you can do to avoid getting sick this year. I talk a lot about sleep, because it’s a core habit to improve your health. Lack of sleep has been linked to a number of issues, including: obesity (and lack of weight loss), chronic disease, diabetes, heart disease, and immune function! If you’re an athlete, you need even more sleep to help your body recover from the stress of training and get the most benefit from your workouts. Use calming essential oils, like lavender or serenity, topically (try the bottom of your feet or back of your neck) or diffuse them in the bedroom. My favorite blend for sleep is cedarwood, lavender, and breathe to support calming and restful sleep. Germs are on so many of the surfaces we touch, which means our hands come in contact with lots of germs throughout the day. That’s why washing your hands frequently is so important! Keeping your hands clean is a great way to prevent those germs from getting inside your body. But don’t be fooled by antibacterial soaps, which often contain triclosan and other harmful ingredients. Look for a natural soap, or one that includes essential oils with natural antibacterial properties, for the healthiest results. Even with washing your hands frequently, you can’t do that every moment of the day. So make it a habit to keep your hands away from your face. This helps keep those germs outside of your body, so your body doesn’t need to work as hard to fight it off. This means avoiding biting your nails, which is a habit I know I still struggle with at times. Washing your hands regularly helps get rid of the germs form surfaces, but you can also clean those surfaces in your own home to help address the problem at the source. Think of high-traffic surfaces, like door knobs, counter tops, desks, keyboards, & cell phones. Clean these surfaces frequently with a toxin-free, natural cleaner to help eliminate the germs on those surfaces in a safe and healthy way. I keep learning more and more about the importance of gut health. Did you know your GI system also plays a role in immunity? If your gut is not in balance, your immune system will also be out of balance. You can support your gut health by taking a probiotic supplement to deliver beneficial microflora to your GI tract. Watch my Facebook Live video where I talk more about what to look for in a probiotic supplement to be sure you choose a product that will provide the benefits you are looking for. Don’t forget to turn on live notifications so you can join me for future video chats! Water is another core habit to improve your health and immune system. Water helps flush toxins from your cells, which can otherwise build up and weaken your immune system. Water is needed to create lymph, which is part of your immune system & helps fight off illness. In addition, when we don’t have enough water in our system, our immune system can be worn down as it tries to find a way to flush toxins out of the body without enough fluid. I recommend that you start by drinking at least half your body weight in ounces each day (if you weight 160 pounds, you should drink 80 ounces of water). 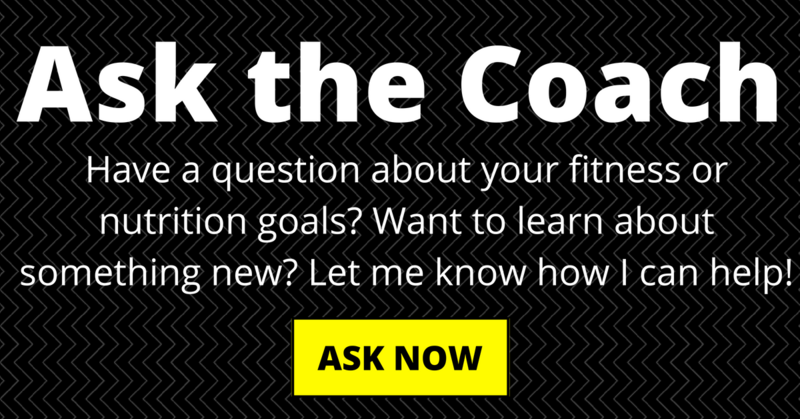 You can hit this goal with plain water, tea, or broth. And if you exercise or sweat a lot during the day, you’ll want to drink even more. Did you know that essential oils can help purify & cleanse the air? I love the beautiful smell from diffusing, but the immune support benefit adds another important benefit to help you fight sickness with the plant-powered essential oils. I personally diffuse daily for several benefits, but immune support is a key reason this time of year. My current favorite essential oils to diffuse for healthy immune function are: cinnamon bark, rosemary, & wild orange*. There is also a blend called On Guard® that includes several different immune-supporting essential oils that is great to diffuse*. Check out this study for more on the effectiveness of On Guard. Foods are a great source of natural health benefits and eating mostly whole foods gives you the best access to those benefits. Garlic, for example, contains allicin and fights infection & bacteria. Shellfish often contains selenium, which helps clear viruses out of the body. Colorful foods — like carrots, pumpkin, and cantaloupe — contains carotenoids, which are turned into Vitamin A and have an antioxidant effect to strengthen the immune system. Black and green tea also have great immune boosting amino acids (L-theanine) that can help you avoid getting sick. What you eat has a large impact on your health, because you need to support your body’s ability to work efficiently. Protein plays a key role in immune support, so make sure you get plenty of protein-rich foods each day to avoid getting sick. Remember that protein is found in both animal and non-animal sources, so choose foods that fit your nutritional preference and tastes. Nutritional supplements are a daily habit I recommend to support your body year-round. If this isn’t something you’ve incorporated into your routine yet, this is a great time of year to start. I personally take several supplements each day, which are infused with essential oils for even more health support. Focusing just on immune support, I take 1-2 On Guard® Beadlets each day to help keep my immune system strong*. If I feel something coming on, I’ll switch to the On Guard® Soft Gels for additional support. There are so many ways that essential oils can help support your overall health. I created this cheat sheet to help you learn more about essential oils for health, including: energy, mood management, immune support, and sleep support. Covering 10 different focus areas & over 20 different oils to help you learn more about the potential of these natural tools for your health. This is a great way to start learning about natural alternatives to the products you may already be using! 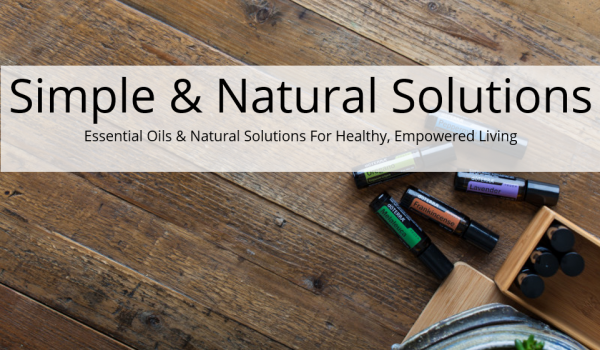 I also invite you to watch my free online training to learn more about how you can use natural tools (like essential oils) to support your health. Click here from the FREE online class. What is your best tip to avoid getting sick?